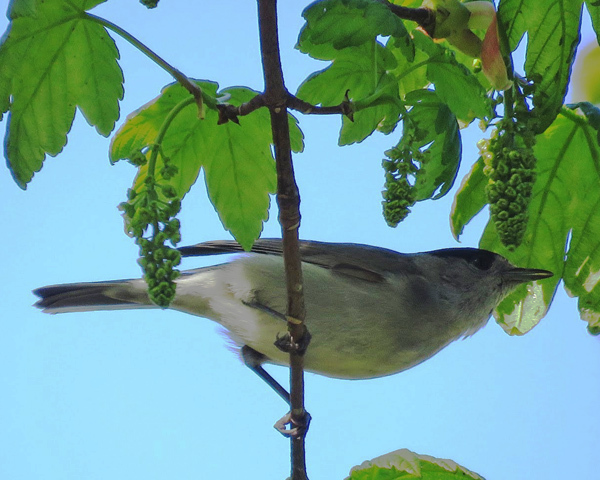 Adult male blackcaps (see first picture below) have a heavy build for a warbler and can appear quite large. They have pale grey underparts, mainly olive-grey upperparts and a distinctive black cap. The male bird often raises his black crown feathers in display (see first picture below in section on predation of sycamore aphids). The female blackcap (see second picture below) has a browner back than the male, a grey face and throat, a tinge of brown on the breast and a reddish brown cap. 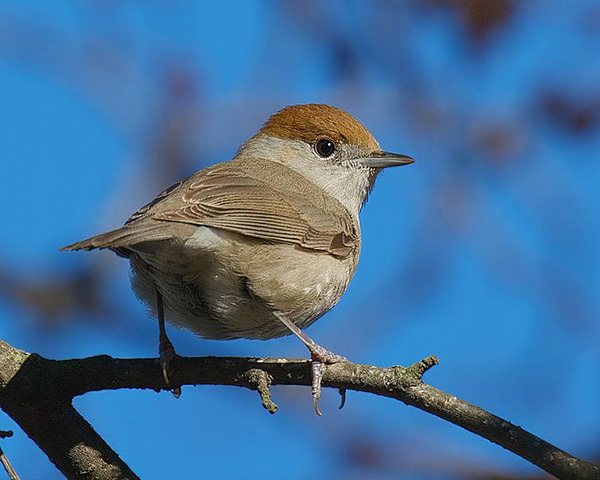 Immatures are browner overall than adults, with pale chestnut caps like those of adult females. The song typically starts with soft, staccato chattering and mimicry, which after a few seconds changes to a much louder, pure and resonant stream of notes for about 3-5 seconds. It may sing the first part of the song for extended periods without ever reaching the characteristic ending. The alarm call is a hard 'check', sometimes with an additional hoarse and nasal 'cherrr'. First image copyright Tony Hisgett under a Creative Commons Attribution-Share Alike 2.0 Unported License. Second image copyright Stefan Berndtsson under a Creative Commons Attribution-Share Alike 2.0 Unported License. Sylvia atricapilla atricapilla: breeds in Europe except Mediterranean area and NW Asia; winters in Europe and tropical West Africa. Sylvia atricapilla gularis: greyer underparts and nape. Breeds and winters in Azores and Cape Verde. Sylvia atricapilla pauluccii: greyer above and darker below; white only in centre of belly. Breeds & winters eastern Iberia, Italy and western Mediterranean islands. Sylvia atricapilla dammholzi: longer winged and paler. Breeds in SW Asia and winters in tropical East Africa. 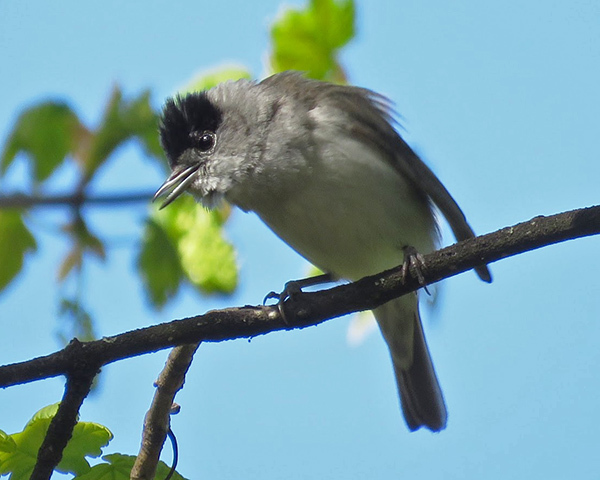 Blackcaps breed in mature deciduous woodland with an established understory of shrubs and herbs. The wintering habitat ranges from gardens (the British population) to scrub and olive orchards in the Mediterranean, and Acacia scrub and mangroves in Africa. Blackcaps mainly pick their prey off the leaves and twigs, but may occasionally hover or feed on the ground. They eat a wide range of invertebrate prey, with aphids especially important in spring when adults are feeding their chicks, and again in autumn before and during migration. In July their diet switches to include a larger fruit component. Blackcaps arrive in Britain in spring just as some species of aphids are starting their period of rapid population growth. In a blog on bird behaviour - The Rattling Crow - Africa Gomez reports her observations on blackcaps predating sycamore aphids. "The arrival of migrant Blackcaps in Britain is marked by their beautiful fluty song [see picture below of singing male]. Males arrive a few days earlier than females and settle in their breeding territories. Blackcaps usually sing from cover in trees and bushes, and the rapidly sprouting leaves make it more difficult to spot them singing as the spring avances". Image copyright Africa Gómez under a Creative Commons Attribution-Share Alike 3.0 License. "Today I found a female in the territory where the male had been singing. She was very busy in a tall sycamore tree picking aphids from under the leaves, stretching and balancing on the fine branches. The male wasn't far, singing and feeding on aphids like her (see first picture below). Note the two aphids on the main veins of the leaf near the male's bill and..."
Both images copyright Africa Gómez under a Creative Commons Attribution-Share Alike 3.0 License. "...a few seconds later (see second picture) they are gone. The video here is a short clip of the male feeding." The blackcaps are most likely feeding on the common sycamore aphid (Drepanosiphum platanoides) which abound on the underside of sycamore leaves in April. The Drepanosiphum aphids in the picture above are the ones with long siphunculi. 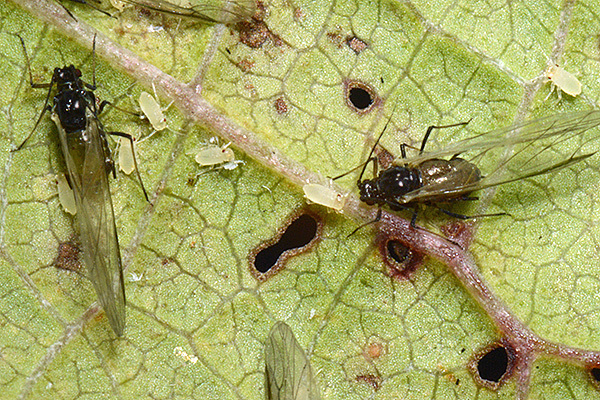 The smallest aphid, with very short siphunculi, is a Periphyllus species (Periphyllus acericola or Periphyllus testudinaceus) which also no doubt also get eaten by blackcaps. The bird cherry-oat aphid, Rhopalosiphum padi, is a fairly common cereal pest which transmits several viruses, the most serious of which is barley yellow dwarf virus. It host alternates between its primary host, bird cherry (Prunus padus) and its secondary hosts, cereals and grasses. Over 25 years Glutz von Blotzheim (2004), (2010), conducted a very substantive study on bird species feeding on bird cherry-oat aphid on bird cherry bushes in autumn. In all he recorded 36 species of birds preying on the aphids. Chiffchaff and blackcap (Sylvia atricappilla) were the most numerous and most intensively-feeding aphid predators. 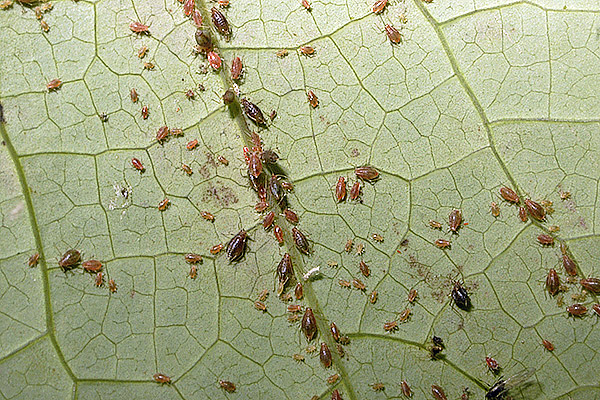 Very large numbers of Rhopalosiphum padi can build up on bird cherry in spring to early summer prior to migration, and again in the autumn when these aphids return to their primary (winter) host. Birds began feeding on these aphids at a very low level during the second half of August and intensified their attentions in mid-September. Feeding of blackcaps reached its peak from 23 September to 7 October, and in the autumn the number of presumed prey captures (pecks) by blackcaps was over 50,000. Feeding declined rapidly as soon as night temperature fell under 2°C in late October or at the beginning of November. It was concluded that feeding on superabundant aphids was efficient (no handling time, high digestibility) and of high reward in carbohydrates, forming an important complement to berries and fruits. 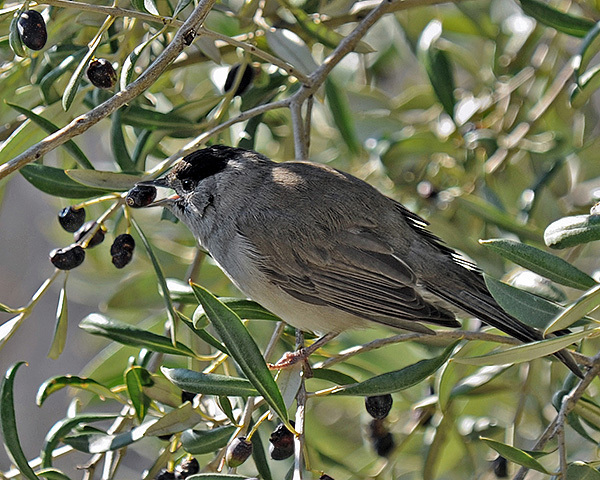 Massa (1997) looked at the diet of the blackcap, Sylvia atricapilla, in a Mediterranean habitat. They had an insectivorous and frugivorous diet. 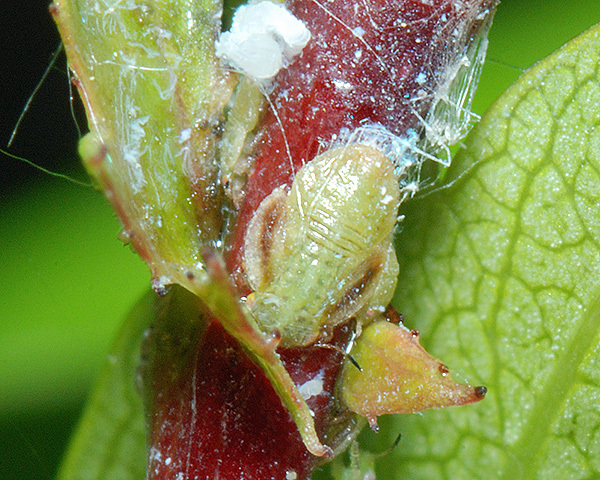 During the breeding period (April-June) the most frequent prey were aphids, most likely Myzus persicae (see picture below), which were collected on a peach tree (Prunus persica), only 7 meters away from the nest. 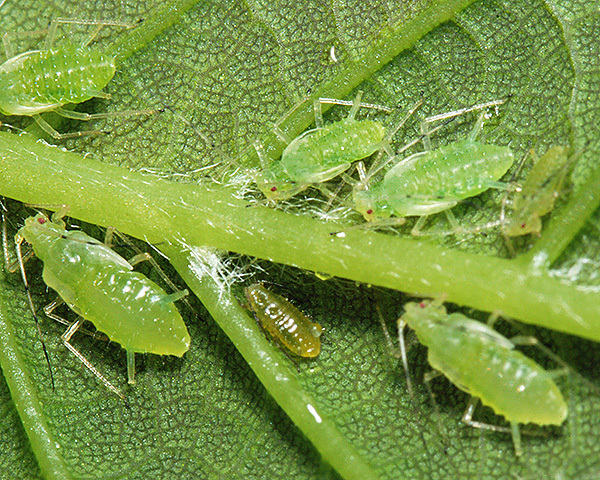 Aphids were taken mainly by the female, which each time carried 1-20 individuals to the chicks. It was estimated that during nestling period adults fed chicks about 5000 aphids, and that aphid prey comprised 20% of the visits to chicks. The next most important prey were caterpillars & larvae (13.2%) and adult canthariid beetles (11.9%). During summer, fruit comprised 27.3% of visits, mainly of white mulberry (Morus alba) and common figs (Ficus carica). Although not available in his study area, Massa noted that olives (Olea europea) have an unusually high fat content (42%) providing a good food source for wintering individuals (see picture below). In winter Massa found blackcaps fed mainly on fruit and berries, but from March onwards insect prey comprised over 50% of their diet. 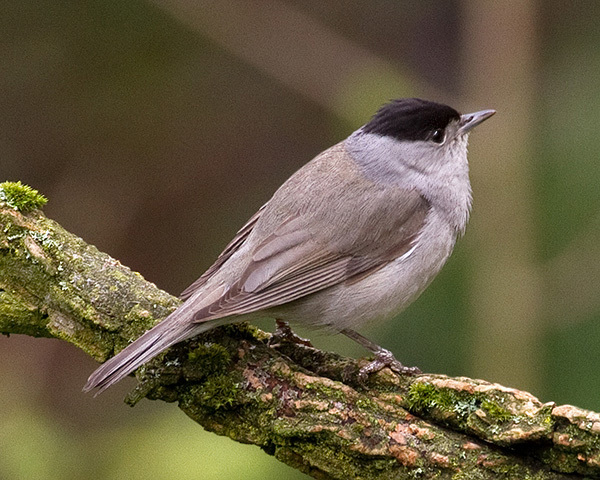 On the island of Hjelm in Denmark Laursen (1978) looked at the diet of some insectivorous passerine species, including the blackcap during their spring migration. The vegetation on Hjelm is predominantly scrub hawthorn, with a few small birch plantations on the plateau. Arthropods were the most important source of food during their spring migration. Blackcaps showed great flexibility with regard to different groups of prey in successive periods within the same migratory season, and from one year to the next. Blackcaps ate a very great variety of prey in early May of 1973. Nine prey groups each contributed 5% or more to the total. The largest was the Chironomidae at 17%, whilst Tenthredinoidea, Lepidopteran larvae, Oniscidae and Gastropoda each contributed 5-10%. The presence of the latter two prey groups indicated that, for at least some of the time, blackcaps foraged on the ground. In late May 1973 the blackcaps increased their Psylloid nymph component to 32%, and Lepidopteran larvae to 19%, while all the Dipterans contributed 21%. In the same period of 1974 the Psylloid nymphs and Lepidoptera larvae were still high on the list at around 23% each, but were exceeded by Bibionidae, which made up 28%. We especially thank Africa Gómez (The Rattling Crow), for permission to use her photographs of blackcaps feeding on sycamore aphids. We also thank Plumpton College at Stanmer Park for their kind assistance, and permission to sample. For bird identification we have used BTO Bird identification videos for the key characteristics, together with the latest Wikipediaaccount for each species. For aphids we have made provisional identifications from photos of living specimens, along with host plant identity using the keys and species accounts of Blackman & Eastop (1994) and Blackman & Eastop (2006) supplemented with Blackman (1974), Stroyan (1977), Stroyan (1984), Blackman & Eastop (1984), Heie (1980-1995), Dixon & Thieme (2007) and Blackman (2010). We fully acknowledge these authors as the source for the (summarized) taxonomic information we have presented. Any errors in identification or information are ours alone, and we would be very grateful for any corrections. For assistance on the terms used for aphid morphology we suggest the figure provided by Blackman & Eastop (2006).